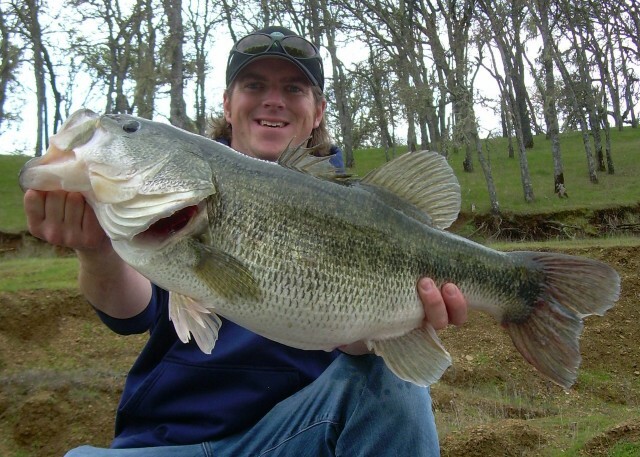 Swimbaits account for more big bass every year than most of us can even truly count. The combination of an eight-inch trout shaped swimbait and giant bass gets most everyone’s heart pumping. 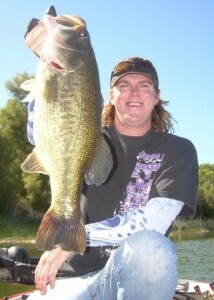 Movies, companies and complete websites have been devoted to the swimbait lifestyle. Whole legions of anglers across the country have found out how successful swimbaits can be. But, as effective as the large baitfish imitators can be, most anglers barely scratched the surface of their effectiveness. Sure, a lot of big fish are caught each year on swimbaits, but is it a result of careful planning and strategizing, or is it a matter of being in the right place at the right time? Matt Allen is a devoted trophy hunter from Vacaville, Calif. who has spent the last ten years perfecting his approach. His trophy hunting career has resulted in 50 bass over 10 pounds; including 13 over 12 pounds and a personal best of 17 pounds, 2 ounces,; 70-percent of them coming on swimbaits. But, Allen said that to truly understand how to consistently catch giant bass on swimbaits, an angler truly needs to understand what makes giant bass different than the rest of the population. It starts with understanding their forage, how they position themselves to capitalize on the movement of their prey, what the prime trophy hunting conditions are and how to present the lure to fool them. These factors are all different than one might assume. 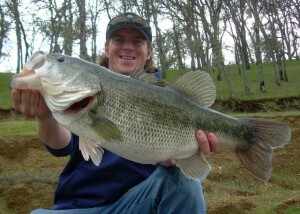 Included in that theory is that people live on the theory that most big fish are caught around the spawn. Allen believes that prime time is from January through March. In other words; swimbaits – the time is now. 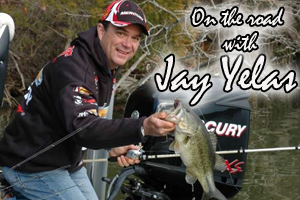 Allen said that the reason the best time to catch truly big bass in the late winter through early spring is a combination of factors. “First of all, big fish act differently and feed differently,” he said. 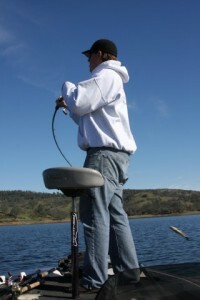 “Water temperature means nothing to big bass; they feed when and how they need to, and for these fish, their primary food sources are most active in cooler water.” His belief is so strong that he removed the water temperature factor out of his mind by removing temperature gauges from his boat until recently when he installed new electronics. “In my area of the country; the West, big bass feed primarily on pelagic species of fish as their primary forage,” he said. “Pelagic fish are not shore relative species; they swim in open water, so big bass basically become pelagic in their mannerisms as a result.” Pelagic species use the open water to swim in, they do not relate to shore, so when trout, kokanee, salmon and even shad are the primary forage, big bass adapt by becoming more like their prey. Allen said that finding where big fish stalk prey depends largely on the type of lake. “I’m looking for deep hollows this time of the year; and I usually find those in the middle of coves in the deepest part of that area,” he said. On lakes without pronounced points or a lack of large structural items he usually finds them hunkered in the middle of the guts of large bays or coves. These fish will find deep water that they feel comfortable in, but still have a view of their surroundings for feeding opportunities. 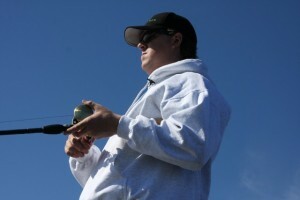 On large impoundments, he will often find bass stacked up on the ends of long tapering points. The type of points he is referring to may extend as much as a quarter mile or more into the lake. He will often find fish suspended and stacked together at the immediate end of the points. On smaller lakes, he often sees the same things, but the points are not nearly as long, and they usually end abruptly, meaning the zone may be only a few yards from shore. Allen is a fan of big soft swimbaits. He doesn’t like using hard baits in deep water because he has observed that fish bite hardbaits differently on the surface, and has lost more fish with them deep. He prefers seven to 10-inch soft swimbaits that sink quickly and give him a strong, single hook for landing big fish. He is not a fan of treble hook stinger rigs because he believes they can injure bass and are not truly effective at landing them. He throws them all on a Dobyns Rods Champion Series 807 Swimbait Rod, which he pairs with a Shimano Calcutta 400B with 5.0:1 retrieve speed. He always uses 80-pound-test braided line and attaches a four to six foot length of 30-pound-test monofilament leader with a nine loop blood knot. He affixes his swimbaits to the leader with a San Diego jam knot. In case you were wondering, Allen has proved that these tactics are not limited to only Western waters. He has tested them himself outside of California. 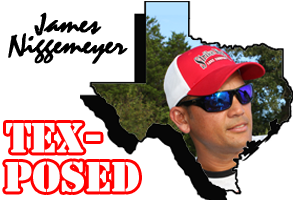 But, he also operates a website called Tactical Bassin that educates anglers all over the country on his style of trophy fishing. 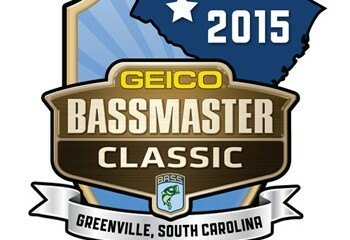 he is getting reports from all over the country about his big bait tactics producing results. 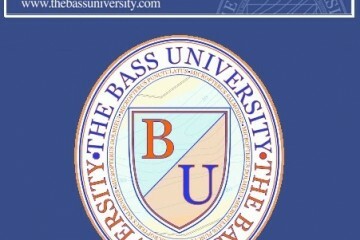 Find out more for yourself at www.tacticalbassin.com.